A new book on John Tyndall and 19th century scientific naturalism raises questions that are still relevant to how we communicate science and authority today. Cross-posted from The H Word blog. Most people are familiar with some Victorian attempts to popularise science. Perhaps best known are the Royal Institution’s Christmas Lectures, begun by Michael Faraday and continued by successors including John Tyndall. They helped make science fashionable and the lecturers famous, also instilling a particular view of science, its authority and its relationship to the public. The 19th century was, though, also a boom time for publishing about science, in books and periodicals aimed at all sorts of readers: budding researchers, interested amateurs, women, children, self-improving workers, pious admirers of God’s work and political radicals. Because of this plethora of audiences – and the still fuzzy lines between amateur/professional, researcher/populariser, man of science/man of letters – there was room for a diverse range of approaches. I was struck afresh by this multitude of voices speaking for and about science when reviewing a new book, edited by Bernard Lightman and Michael Reidy, for an academic journal. It focuses on the world of the scientific naturalists, including Tyndall, as they sought to establish a science they claimed was based purely on naturalistic explanations. In limiting science to empirical investigation, they asserted a unique authority in speaking about science. Tyndall and others such as T H Huxley are seen as heroes of rational, secularised science, heralding the arrival of a trained and professionalised scientific workforce. This book, like others in the history of science, complicates this narrative in various ways. It is impossible to fit individuals into neat boxes with regard to their views on science, metaphysics and theology, and thinking in terms of science versus religion, rationalism versus dogmatism, or even professionalism and amateurism, is deeply misleading. One chapter particularly caught my attention with its clear illumination of something I have always felt made the legacy of Tyndall and his close allies interestingly problematic for us today. Jeremiah Rankin and Ruth Barton do this by comparing the popular writings on science of Tyndall and G H Lewes (better known as a critic and George Eliot’s partner). Rankin and Barton make a convincing case that we should treat both men as being simultaneously men of science and men of letters – both carried out scientific observation and experiment and both wrote about science for a general readership. They can also both be described as scientific naturalists, promoting evolution and other naturalistic accounts of the formation and workings of the physical world. As the essay shows, though, there were significant differences between the two with regard to how they portrayed men of science and their relationship to the wider public. While Tyndall emphasised all the trappings of authoritative science – specialist laboratory space, equipment, techniques – Lewes discussed observation and experiment that could be carried out in the field or at home. While this can be put down to the different kinds of science they were discussing – physical sciences and physiology – and their differing status within the scientific world, there is more to it than this. Both men made use of laboratories and a community of experts, but only Tyndall sought to emphasise this, along with the distance and difference between elite men of science and his readers. His approach was what we might now call “deficit model”, and he saw his role as guiding his readers around the complexity of knowledge that only a few people could speak about with authority. Lewes, by contrast, was much closer to today’s favoured model of public engagement with science (see this short post on PUS to PEST). He was inviting readers to be present and, potentially, participating in science, rather than simply receiving the words of an expert. Tyndall’s elite, specialised and closed world was met by Lewes’s inclusive, democratic and accessible vision of science. Tyndall expected, above all, for his audiences and readers to be impressed with his ability to understand and manipulate natural phenomena. 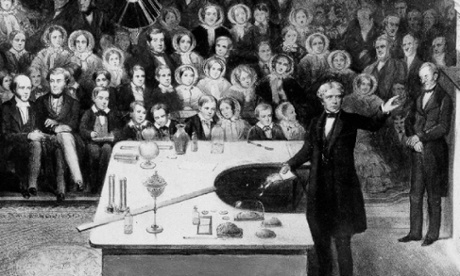 Experiments performed in lectures were less about revealing processes and more about proving his skill and knowledge. As Rankin and Barton suggest, he “promoted a conception of science that largely excluded the public from the production of scientific knowledge”. Lewes, on the other hand, expected his audience to question, challenge or verify what they were told, to engage, participate and make discoveries of their own. He insisted that science should be opened up more widely, fearing it might otherwise “degenerate into immoveable dogma”. Only broad participation would ensure the validity of scientific work. While historians are wary about applying lessons from the past, history does help us to question present assumptions. It gives us pause to reflect on how much attempts to establish the authority of particular groups and approaches have been about excluding others from the conversation. Tyndall was right that we can’t all be scientific researchers, but Lewes’s democratic vision for science might still inspire us to reopen channels of communication that have since been shut down. 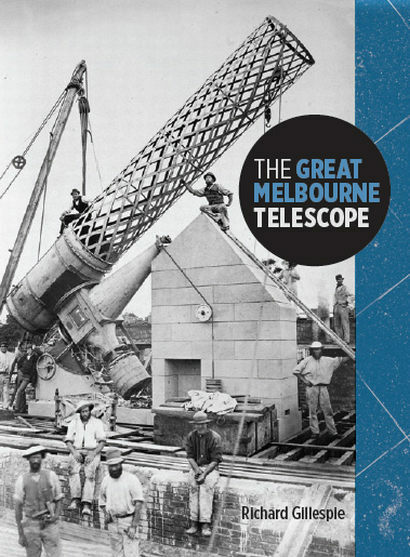 In this month’s Journal for the History of Astronomy I have a book review of Richard Gillespie’s The Great Melbourne Telescope – a book I enjoyed reading and a review I enjoyed writing. The Great Melbourne Telescope. Richard Gillespie (Museum Victoria Publishing, Melbourne, 2011). Pp. 188. AUD 29.95 (paperback). ISBN 978-1-92183-305-2. This readable and well-illustrated book takes a journey that begins in 1840s Ireland and passes through the astronomical élites of Victorian Britain, colonial Australian society and twentieth-century international collaborative research programmes. The telescope that provides the focus of this story is both a remarkable physical pres- ence and an object of different meanings in the minds of those who dreamed it up, designed it, built it, worked with it or simply visited it. The cast of characters who swiftly cross these pages include British princes, a Fenian agitator, colonial officials and, of course, astronomers major and minor. Gillespie commendably handles this broad canvas and the specific or more technical details. The content, bibliography and endnotes are proof of knowledge and research that is woven well into an engaging narrative, only occasionally weighted down with the detail necessary to explain the frequent delays and pauses that characterized the history of this telescope. Each chapter opens with a section of semi-dramatized storytelling that, although it felt a little artificial with repetition, works to keep the reader’s interest and, more importantly, to focus attention on telling episodes. Thus the first chapter opens on a cold night in Ireland, with Lord Rosse, Sir James South and Thomas Romney Robinson observing with Rosse’s ‘Leviathan’. These men, the ambitious telescope and the aim of resolving disputes about the nature of nebulae form the story’s background. The southern hemisphere beckoned as a field that, despite John Herschel’s work, remained relatively unexplored, and with climates more promising than Ireland’s for the use of large mirrored telescopes. Rosse and Robinson, while President of the Royal Society and the British Association for the Advancement of Science respectively, had their moment in 1852 to create the joint Southern Telescope Committee. The published correspondence of this committee presents the historian with a wonderful resource to explore the currents of astronomical research, telescope design, politics and personalities. Disagreements caused delay as did, almost fatally to the project, the Crimean War. It took intense lobbying from the colonies to revive the project, and so enters, in the second chapter, the bounding figure of William Wilson, an ambitious, undiplomatic professor of mathematics in Melbourne. Gillespie’s account of society in colonial Victoria is particularly well drawn, with a sense of its burgeoning development until depression hit late in the century. It is a place where names and fortunes could be made, where local, colonial and national identities were consciously developed, and where a large telescope could make a big statement. 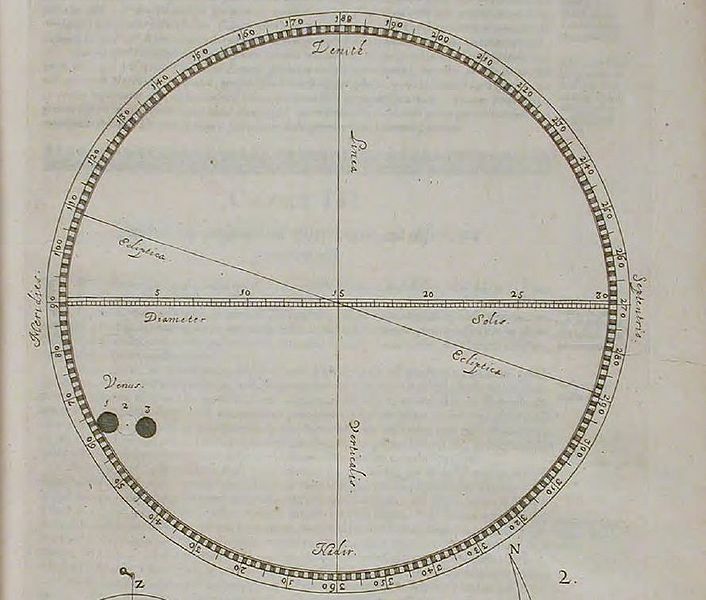 The following two chapters open with the drama of casting the telescope’s mirror at Thomas Grubb’s Dublin workshop, and with the Melbourne Observatory’s director, Robert Ellery, writing to explain the difficulties encountered working the telescope at a distance from British and Irish expertise. Not until chap. 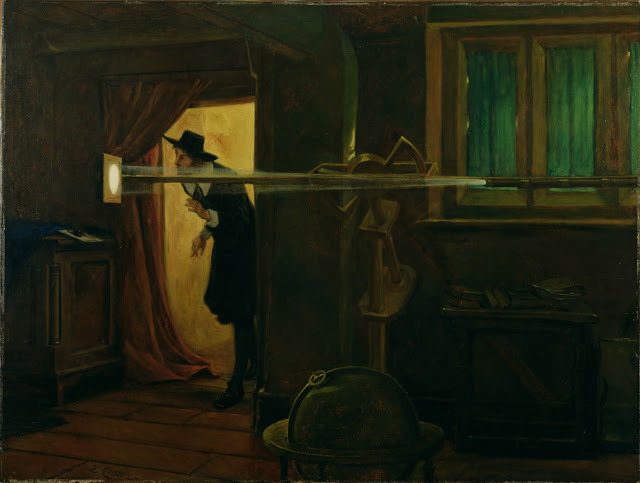 5 and the 1870s do we see “The telescope at work” in a regular, satisfying manner, although problems remained in finding observers, keeping the mirrors untarnished and producing results that would justify the costs. As described in the following chapter, however, justification was also found in telescope’s symbolic role within Melbourne and beyond. From the beginning, monthly open evenings were held, and the telescope’s educative, or public relations, role as “the city’s scientific icon” (p. 119) should not be underestimated. The affection felt for this instrument explains its final chapter. While economic slowdown and changing priorities meant that it was largely unused in the first half of the twentieth century, its symbolic importance, along with claims of economy, let to its post-war “Rebirth”. Twice it was completely remodelled, with increasingly automated operation and a new mirror collecting light for analysis by a host of instru- ments. Where once the observer tackled the telescope manually, trained his eye to see and interpret the faint light of nebulae, and recorded his impressions in drawing and lithograph, now the Great Melbourne Telescope’s light was analysed by computer in the search for evidence of dark matter. This new life was ended by a bushfire in 2003. This disaster has, however, given Victoria’s Museum and Astronomical Society the opportunity to reunite the original Grubb axes and bearings with parts of the telescope long-since removed. Because of the desire to use the instrument for public observing sessions, it will be fitted with new mirrors and finding system, creating a curious hybrid, like most of our working historical telescopes. While astronomical research continues onward to ever-larger reflectors, this instrument will play its old role of engaging the public with astronomy. And as Richard Gillespie’s enjoyable book makes clear, it should also lead visitors to consider Australia’s astronomical heritage, tied closely as it is to the history of the nation itself. The telescope’s story is one worth telling. In my last post, which mused on different kinds of veracity in history, I mentioned the book that I am reviewing today: Ian Hesketh’s The Science of History in Victorian Britain: Making the Past Speak, published by Pickering Chatto last year in the same series as my own book. It focuses on British historiography of the second half of the 19th century, in particular the claims made about possible scientific approaches to history, contrasted with more literary forms, in the process of its professionalisation. The debates were about the form that historical research and writing should take, who it should be written for, where credibility might be found, how a profession could be built, how professional standards might be met and recognised, and how approaches that did not meet the newly-defined standards should be dealt with. It is about status, boundary work, the claim that history can be written objectively, and, fascinatingly, the suggestion that good – and, indeed, morally commendable – history can never satisfy the untrained reader. Claiming application of a scientific method to history is, naturally, far from straightforward. There were, for a start, two competing models for what scientific history might look like. One was inspired by the idea that generally applicable laws might be found to explain apparently disparate phenomena; the other was nearer to Baconian induction, where historians would focus on the methodical collection and (as far as possible) unmediated presentation of data. While it might be hoped that the latter would lead to the former, in Victorian history these ideas led to two widely divergent approaches, both in competition with a more traditional narrative approach. Under Hesketh’s guidance, and after a very clear and useful introductory chapter, we are first introduced to the ambitious ‘natural law’ approach to history, embodied by Henry Thomas Buckle. In 1858 “everybody in London” was, according to William Whewell, “talking about Mr Buckle’s lecture” at the Royal Institution (p. 13). His was ‘big picture’ history, a History of Civilisation in England no less, which Buckle hoped would be “equivalent” or “analogous” to science in revealing natural laws in which providence and morality played no part (p. 17). Demonstrating the influence of Comte among others, Buckle saw history as a series of progressive stages of civilisation, using geography and statistics as well as written sources to tell a story of mankind rather than great men. Buckle aimed to “rescue history from the hands of annalists, chroniclers, and antiquaries” and he, briefly at least, captured the popular imagination – to the extent that ladies were, Leslie Stephen recalled, “panting for wider generalizations” and the ‘thrill’ of an account where lives were governed not by free will or God’s providence, but implacable natural laws (p. 21). Hesketh explains Buckle’s appeal, and the idiosyncracies of his background, as well as placing him in the context of contemporaries reaching for similar generalisations: Comte, John Stuart Mill and Whewell being obvious, though strikingly different examples. For a number of other historical writers, Buckle’s work was emphatically not what scientific history should look like: he was too ready to generalise, too little grounded in archival detail, and too sensationalist. He had failed to understand that science was based on dogged, careful examination of ‘facts’, and that it was the duty of the historian to reveal these without drama. Thus, on the other side, we meet Edward Freeman, J.R. Seeley, J.R. Green, Lord Acton and others, who could, broadly, be put in a set of professionalising historians, admirers of Leopold von Ranke and linked together through personal ties, university positions and publications such as the new English Historical Review and the Saturday Review. Hesketh explores the backgrounds, and the political and religious allegiances, of these individuals. Their identification as a group would appear to come more from attempts to decide who should not be considered a exemplary historical practitioner than from much commonality in context or approach. In other words, as Hesketh nicely shows, an identity was built through the process of criticising the work of others, whether generalisers like Buckle, or literary historians, taking inspiration from Scott, Carlyle and Macaulay. In particular, we are shown how Charles Kingsley and James Anthony Froude were attacked by Freeman and Seeley. Froude, likewise reacting against Buckle, found the idea of history as science “an abuse of language”, as nonsensical “as if we were to talk of the colour of sound, or the longitude of the rule-of-three” (p. 70). There was no shortage of archival research in Froude’s work, but he embraced the notion that historical facts are subject to interpretation, both mediated by past actors and modern historians. The ‘facts’ of history could not speak for themselves, and nor could ‘scientific’ historical hypotheses be subject to repetition and experiment. Embracing the role of the historian as interpreter of the past, or advocate for a particular interpretation, Froude produced histories that had drive and readability. Seeley, however, was adamant that “….history only becomes interesting to the general public by being corrupted” (p. 73), and that Macaulay’s “making history interesting has done a mischief” with “sweet unwholesome stuff”. It was to be a badge of recognisably virtuous and professional history that it “cannot be understood without an effort” (p. 80). Likewise, Freeman felt the historian should “dare to be accurate” and unpopular, eschewing all interest and excitement as, inevitably, the creation of fable (p. 81). Much of the book focuses on statements of good historiography (for example, in public lectures, introductions and obituaries) and criticisms of bad (generally in reviews), supplemented by similar commentary derived from private correspondence. It has been Hesketh’s aim, despite his acknowledgement of the lack of objectivity of historical knowledge, to let his characters speak for themselves as much as possible. It may be this, therefore, that has led him to quote such commentary rather than presenting the reader with a real analysis of the main body of work that these writers produced. The book is, therefore, missing a sense of the extent to which, or how, 19th-century histories embodied the virtues their authors claimed for them. Partly as a result of this, it is difficult to grasp what ‘science’ really meant in the practice of these historians. Both they and/or Hesketh, have a tendency to elide ‘scientific’ with, variously, ‘professional’ or ‘trained’ or ‘disciplinary’ or ‘specialist’. It was not clear to what extent science was genuinely and regularly invoked by these writers and, if it was, what this really meant to them and, beyond, to their peers, audiences, the wider public and – indeed – practicing men of science. If, as it appears was the case, a journal like the Saturday Review could become a mouthpiece for the professionalising historians, what did this mean to general readers? The writings and debates discussed in Hesketh’s book are fascinating ones, both for understanding the context in which some major histories of England were produced in the 19th century and in raising perennial questions about the nature of historical writing. As Hesketh writes in his final paragraph we would now tend to “agree with Froude in saying that history is not a science and that historical knowledge is not objective. And yet we professional historians still clearly fear that history written for the general reader by a non-specialist and continue to find new and disturbing ways to police our professional boundaries” (p. 164). Interpretation of the record is essential if historians are to say anything meaningful about the past, but there are still endless debates to be had about where we draw the line – although I would disagree that these are still couched in terms of whether history is “a science or a form of art”. There are some fascinating episodes in this book and its careful studies of individual historians are rewarding. Particularly successful was Chapter 4, on discipline-developing boundary work contra Froude, and it was also fascinating to trace the trajectory of individual careers, considering early – and sometimes radically different – works, and attempts to reach broader or juvenile markets (revealing the desire to spread the gospel of good history, despite claims of its inaccessibility to the uninitiated), alongside their more ambitious and programmatic publications. I am fascinated too by the opposing claims of where real merit and morality might lie, whether in the presence of an authoritative voice and learned judgement or in the careful removal of self from the text. But, certainly, there remains more to be said about just what place the words ‘science’ and ‘scientific’ had in these debates. I would have liked to see some mention of where Marx and Engles might fit into this mix, even if only to dismiss their relevance to the particular debates under discussion. I found this sentence rather awkwardly formed, like a number of others in the book, which leads to a minor quibble about the lack of editorial and proof-reading work that is too common in (high-priced) academic books. There is some rather informal phrasing, and repetition, including a lot of ‘quites’ (two appearing in one sentence) as well as some errors. In the first two sentences we find Maria Grey referred to as Grey and Gray, while on p. 48 we have “Green” and “Greene”, again in neighbouring sentences. Another review available online and worth reading is on the website of the British Society for Literature and Science. The following is a book review that I did for the Journal for the History of Astronomy. It appeared in the February 2012 issue (£). Tartu Tähetorn/ Tartu Old Observatory. Lea Leppick (Aasta Taamat OÜ, Tallinn, 2011). Pp. 215. €30. ISBN 978-9949-9018-3-8. This volume marks the 200th anniversary of the Tartu Observatory. In dual text – Estonian and English – and with many full-page illustrations, it is a handsome and weighty volume that covers the 200-year history of the Observatory in a series of chapters and sub-sections by a number of different authors. The editor, and lead author, Lea Leppick, is an expert on the history of Tartu University, of which the Observatory was a part for much of its history. Leppick declares in the introduction that “This volume has been written by an historian, not an astronomer, as can be seen by the approach to the material”. However, while this may be true of some sections of the book, other contributors have added detail on the “scientific background” (p. 7) and more recent history of the institution, meaning that there is a somewhat disjointed and uneven feel to the whole. A focus on Tartu Observatory is an opportunity to discuss a number of important themes and events in the history of science, but it is also potentially difficult to write as a celebration and without a strong narrative. One of the difficulties is that while under the directorship of Friedrich Struve, from 1820 to 1839, Tartu could be described as the “Russian Empire’s Leading Observatory” (p. 39), it was afterward essentially a provincial institution that, until the arrival of Ernst Öpik century later, had limited international communication. It had one really admirable instrument, the 1824 Frauhofer refractor, but, for much of its history, little in the way of significant publications. While there is some detail on the various directors, their teaching and writing, it is difficult to get a sense of what those who financed the Observatory really felt it was for and how its role developed over time. While a plethora of projects and related institutions are mentioned, the lack of an analytical overview or even a timeline is sorely felt. Naturally, the complexity relates to wider historical events. There is a fascinating book to be written on astronomy in Estonia, reflecting successive periods of war, revolution and peace under Sweden, Imperial Russia, German occupation, the USSR and independence. Several tantalising but undeveloped leads arise. While Struve’s measurement of a meridian arc had clear importance for national prestige and political and military control, attracting support and interest from the Russian imperial government and military, it is claimed here as “purely scientific” (p. 43). Likewise, support of “basic research” (p. 111) is taken as a given but deserves greater scrutiny. The interest of several directors in popular science writing is mentioned, but the content and aims of their work deserve more attention. It is fascinating to learn about the role of textbooks, popularisations and museum displays in, for example, the creation of Estonian scientific terminology after 1919, or in response to the Soviet emphasis on astronomy in the 1950s, but more of this, and an accompanying reflexivity in the discussion of the Tartu’s latest incarnation as a science centre and museum, would have been welcomed. The strength of the book is the many images included, not only of buildings and directors, but contemporary publications, manuscripts, plans, instruments and photographs from a range of sources. However, parts of the text are shaped around these images, making the book more like an exhibition than a history. It is made up of a series of short sections, which sometimes take the reader some distance from the story of the observatory and involve leaps in chronology and a lack of coherence. It is sometimes unclear who the book is aimed at: the level of detail in some sections, whether scientific or institutional, often seems too dense, indeed condensed, for a non-specialist to penetrate, and yet the treatment of each topic is too brief to satisfy academics. Toward the end, when the text is peppered with “we”, “us” and “our”, there is a sense that this is a book produced by and for those associated with the Observatory and university. There are, unfortunately, a number of errors in the text. Some are translation issues, for example, “passage instrument” appearing for “transit instrument” and “mirror telescope” for “reflecting telescope”, but others are more basic. It is claimed that Uranus “was found in the exact location predicted”, as “a brilliant proof of … theory” (p. 24), or that time zones were initiated at the 1884 Meridian Conference (p. 117). Nevertheless, the book does usefully bring the history of Tartu Observatory, and aspects of Estonian university education and science, to English-speaking audiences, making use of source material in Estonian, Russian and German. The 2005 inscription of the Struve Geodetic Arc as a World Heritage site and the 2011 opening of a museum in the restored Observatory are indicative of ambitions for international recognition and, we hope, the start of yet another chapter of this 200-year-old institution.